Last summer we visited Busan in Korea. 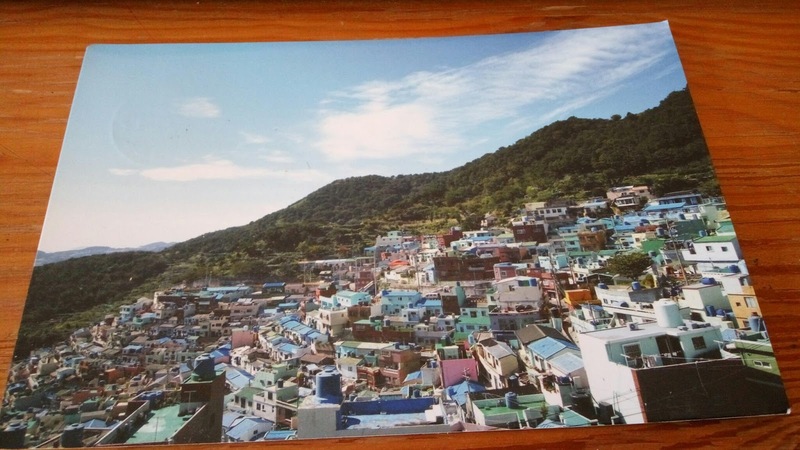 At Gamcheon Culture Village, it proposed a service : to send you a postcard you wrote one year after. We found it was a great idea, so we did it. Naturally we forgot about it. This summer, when we got back from vacation, I suddenly thought about it. There were late to mail the postcard, I told myself. One day later, hubby came home and brought the postcard to me. Here it goes : a postcard we sent to ourselves, one year ago. I laughed at what my husband wrote : We were walking, and mom is going to complain again, that we should have taken the bus, etc. Yeap, a huge difference between us. Among the tourists, you can see Asians riding buses, cable cars, while the Europeans walk. It was an hot summer around 33°C, we were visiting Taejongdae Park. It was hilly and everyone else was queuing for sightseeing train. And because I was with a French, I had to walk (uphill, under hot sun). 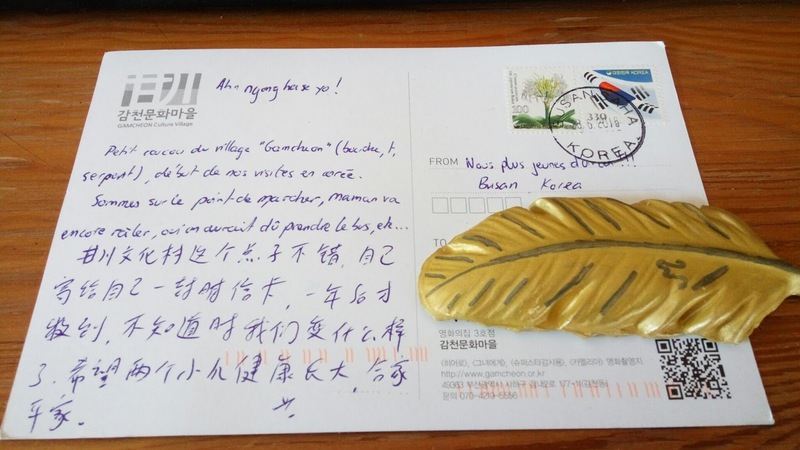 Anyway, glad to receive the postcard, a little souvenir from our last trip.